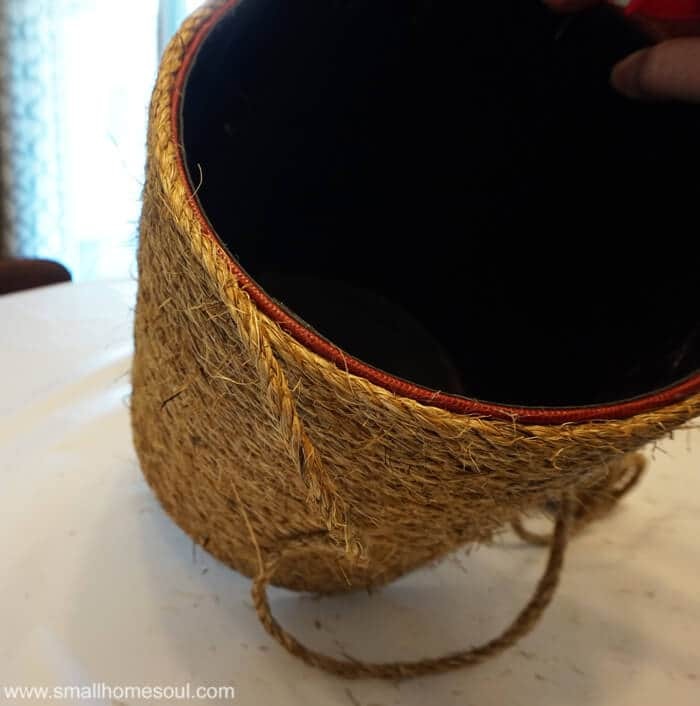 Rope Planter Basket from a Garbage Can - Girl, Just DIY! Hi friends, I’m excited to join forces with a group of talented bloggers in a monthly series. You know I like to save a buck where I can, and I’m a huge fan of thrift stores or any other thrifty place to buy stuff at huge discounts. 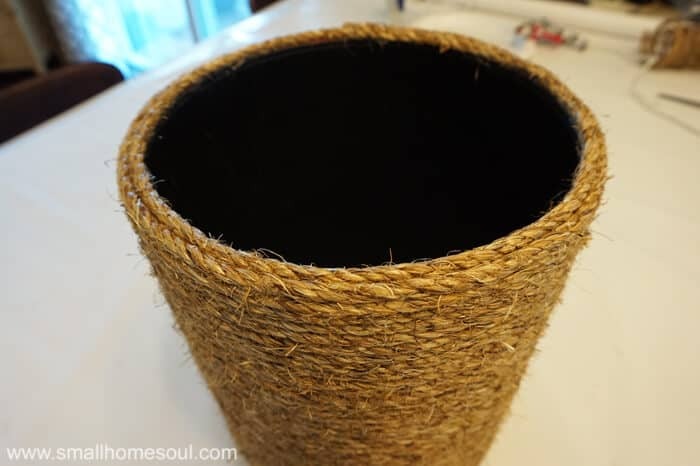 For my first project in this new group I’m going to show you how I made a Rope Planter Basket from an 80’s leather covered garbage can. You’re going to love this project and how easy it is! And you’ll also find a ton of inspiration in all the wonderful projects linked up below. Be sure to out their projects by clicking on the images in the links at the bottom. Last Summer I was in our local Hospice Thrift Store looking for a garbage can for our home office. Of course I wanted one I could make over and was thrilled to I found this red-leather covered garbage can for $5. It bet it was part of one of those executive sets with a matching pencil cup. It sat in the garage for many months before I finally decided what I wanted to do to give it a new updated look. my links I may earn a small commission. I had picked up a few packages of 1/4″ Manila Rope in 50 ft. lengths and when I saw it in the drawer I knew it would be perfect. Along with my handy glue gun this was sure to be a quick transformation. Depending on the size of your basket you’ll need 1-2 packages of 50′ rope. 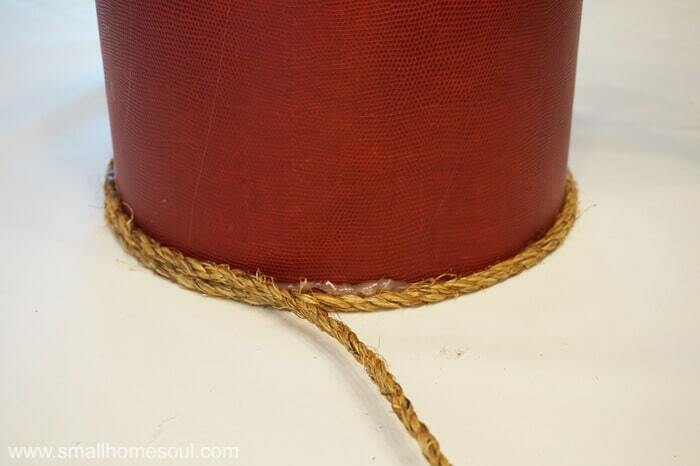 Apply hot glue to the rope with a low heat glue gun and press it against the side of the garbage can. Continue applying the glue continuously with very little gap until the bottom row is fully attached. When you’re ready to start the second layer press it down tightly over the starting end of the rope. This will ease into the second layer for a smooth look. From that point forward apply the glue directly to the garbage can. Secure it four or five times each rotation. At the very top row glue the rope all around the edge with very little gaps in the glue. Glue one last layer of rope onto the very top. Be sure to cut the end of the rope at an angle and push the ends into some dabs of glue so they don’t stick up. Give your basket a little trimming with scissors if it looks a little furry when you’re done. That’s it, super easy right? Now that it’s wrapped with rope it really has a Coastal feel to it, doesn’t it? I don’t have much coastal decor in my home but I have made other projects that have that coastal vibe. 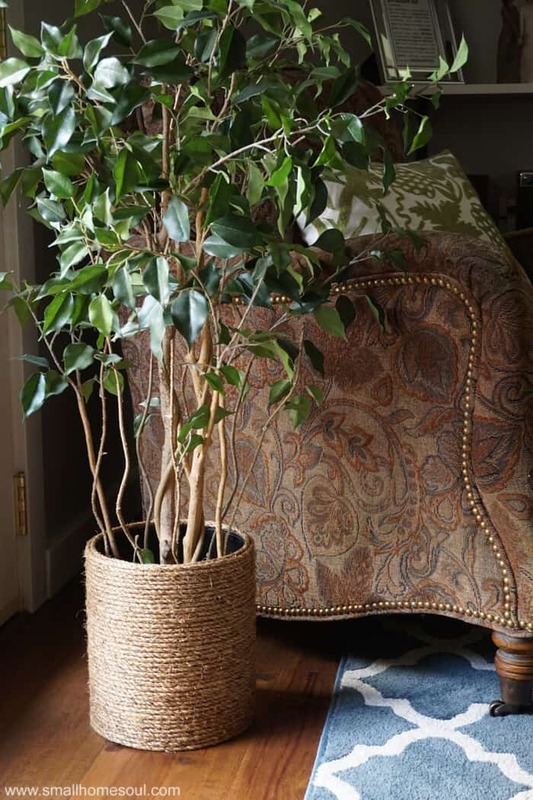 The faux ficus looks fantastic in the new rope Planter Basket by the window! Lovely! And with the cost of the rope I think my new rope planter basket didn’t cost more than $10. 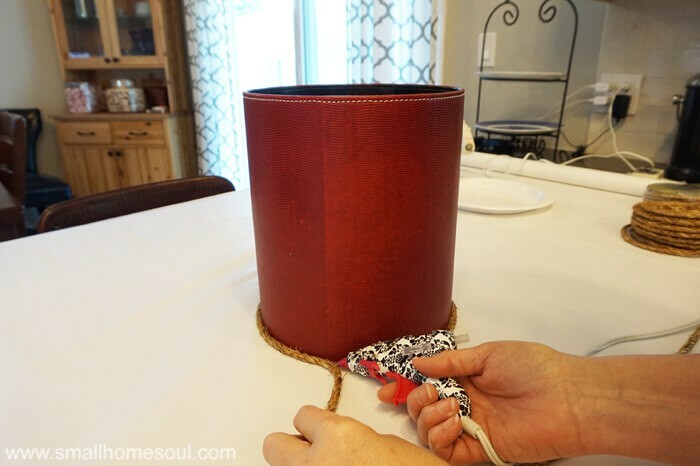 I hope you enjoyed learning to make a Rope Planter Basket and my first contribution to the series. Don’t forget to pin it to your favorite Decor Board. And please visit my friends’ projects below for more thrifty inspiration. It’s amazing how much more high end that looks just after the rope! Super clever idea Toni! Looks right at home there! Love that it’s so simple but really packs a punch! Great makeover. I love working with rope and twine, so this is right up my alley. Thanks Erlene, I love it too, there are so many cool things you can make with it! Toni, this is so adorable! I love the texture it adds, gotta get me some rope!! Looking good. 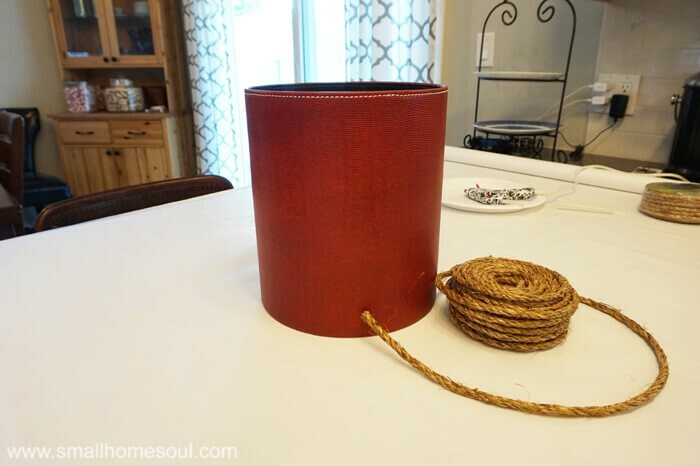 The rope basket goes beautifully with the other items in your room. 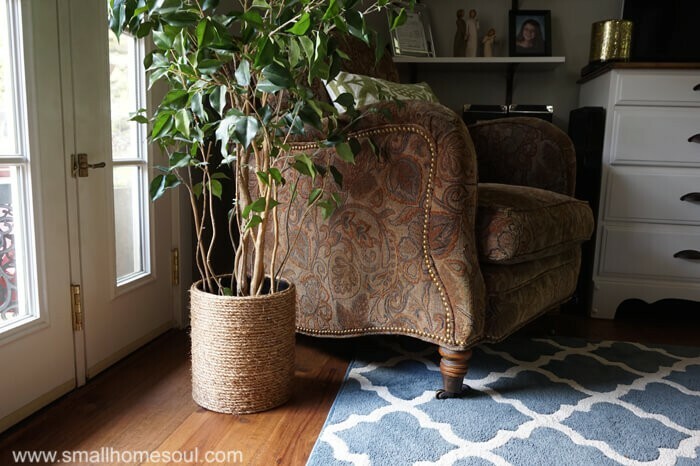 Love the basket, the chair, the rug, the plant. You are so sweet Julie, thank you! Lovely job, Toni. I have so many baskets I can use this idea to update. Thanks for sharing. I want this! It would look fabulous in our living room with my peace lily inside. I love this look. I have so many ugly garbage cans, that I could transform. Thank you so much for the inspiration. So cool Sue, get that manila rope and glue gun ready! 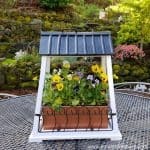 The price of big planters always gives me sticker shock — this is a really smart way to create an affordable planter. Thanks Lora, I can’t stomach the cost of some of the big planters either. I love how this looks. It is so stylish. Now I will be on the hunt for a nice waste basket. Debra thank you so much. Yes, keep your eye peeled for seriously outdated baskets, they are out there and they need our help. 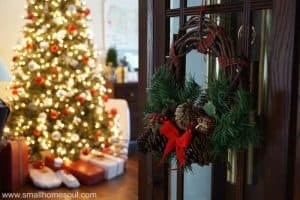 You’re so clever and it looks amazing in your home! It is so natural and matches your decor perfectly! Thanks Janine! That original waste basket would never have worked. This came out so great! I did a large floor vase like this some years back. I may need one like this. Looks store bought, love it. Wow! What a difference the rope made. I’ve got so many ideas now thanks to you. Thank you Pili, isn’t it always the way? We find a plan for it after we tossed it. 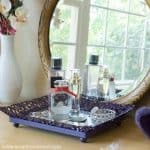 Toni, I want to make one of these for my bathroom! Thank you for the inspiration!! It looks just lovely with the plant! Yay, you are going to love it. I hope you find the perfect outdated can as your subject! Great upcycle, the planter looks really good. It reminds me of one my mum had in the 1970’s when she was into the rustic look, we also had hessian (burlap) on the walls then. Haha, they called it reed grass wallpaper here, we never had that but lots of macrame plant hangers (which are making a comeback). I was pretty good at making them, I think I need to try one again soon. Thanks for visiting, I can’t wait to see your project. Thank you Deborah, that plant needed a little something extra to class it up since it came in a not so impressive too small tin. 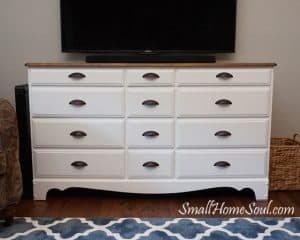 Great upcycle Toni! Visiting from Thrift Store Challenge. 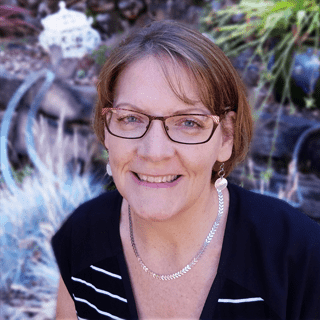 Thanks Victoria, I’m heading over to see your project now! I love the transformation! I see things like that basket at the thrift stores all the time! Thank you Amanda, I’m really happy with it. I bet you won’t pass up another dated basket again 🙂 And thanks for inviting me to join the party!